Fallas in Valencia is a festivity unlike anything, anywhere. 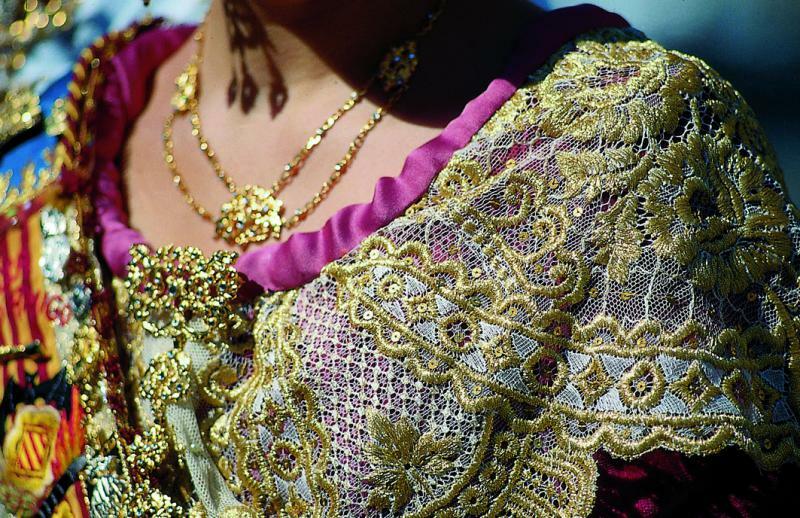 Fallas is a festival that is celebrated from March 15th to the 19th throughout the Valencian Community. Officially they start on the last Sunday of February with the Crida, when, from the Serrano Towers, the Falleros invite everyone to join the festivities. 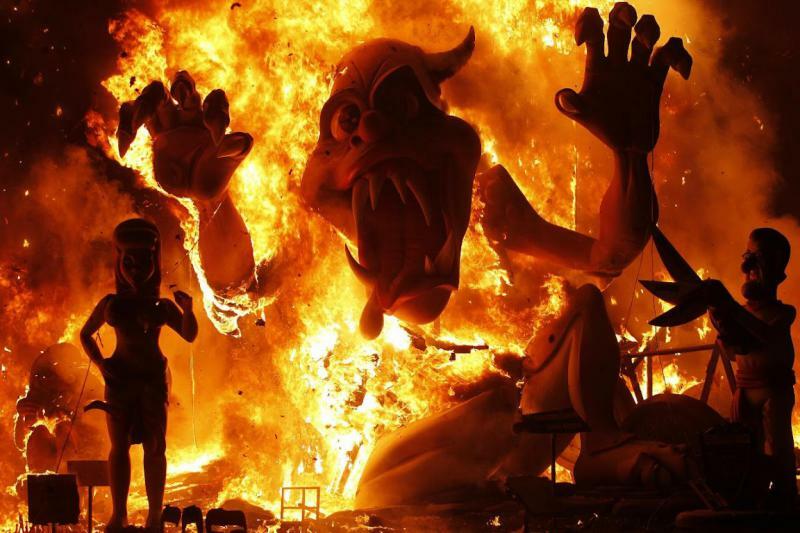 The origin of Fallas was initiated by the city's carpenters, who, on the eve of their patron's day, San José, burned all their old leftover lumber in a purifying bonfire, which cleaned the workshops before Spring. 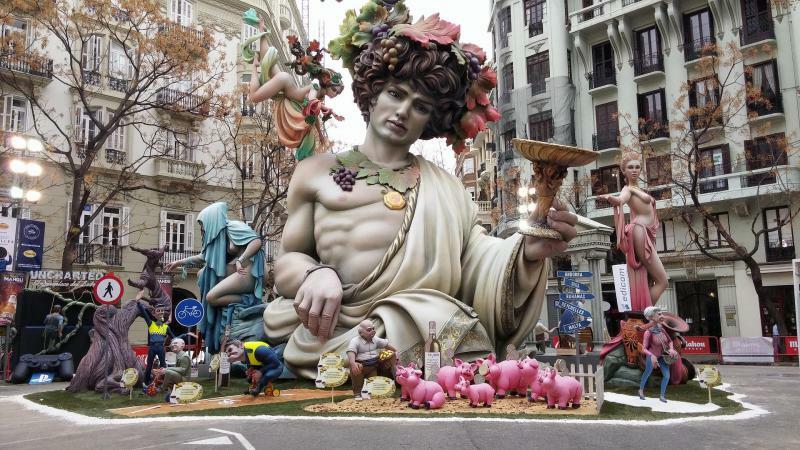 In fact, falla means torch. Current fallas are no longer made only by wood, but they are built with materials like cork and paper. 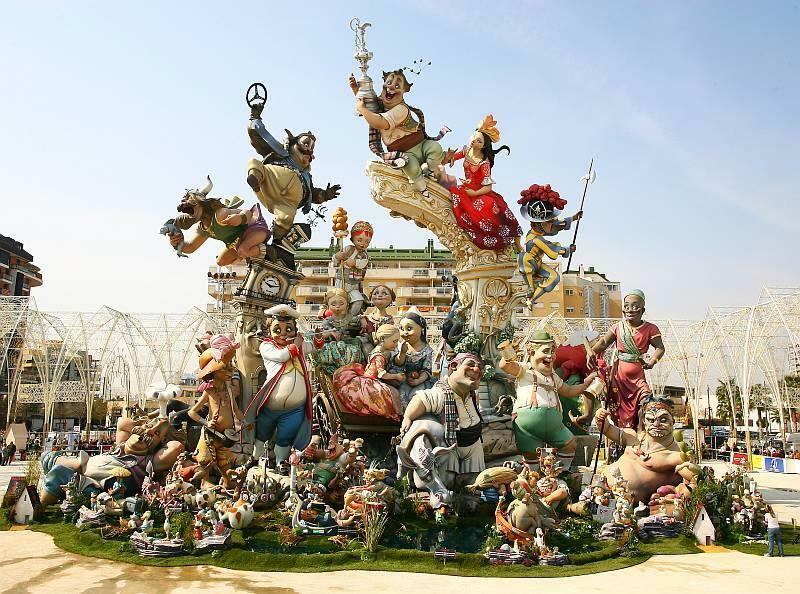 The Fallas, meant as the monuments, represent satirical scenes that are related to events that occurred throughout the year. 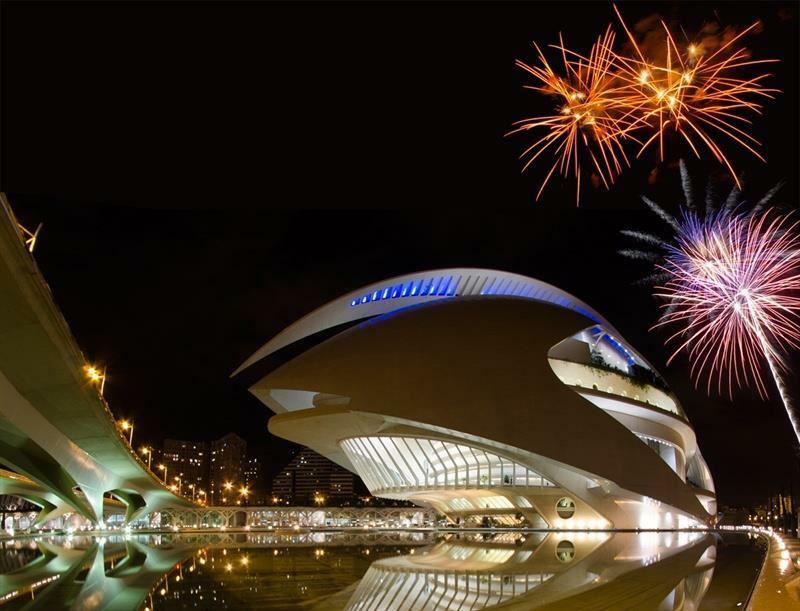 Valencia is the city of firecrackers and fireworks so you cannot miss the 4 nights of wonderful fireworks between March 15-18 which also included the Nit del Foc after midnight on the 18th. From February 5th you can visit the exposition of the Ninot, the typical monuments of Fallas, in the Museum of Science Prince Felipe. From March 1-19 the Mascleta' starts every day at 14.00 in the square of the City Hall. It is a series of extremely loud and high-intensity firecrackers that are continually fired for over 10 minutes with the basic purpose of producing noise. 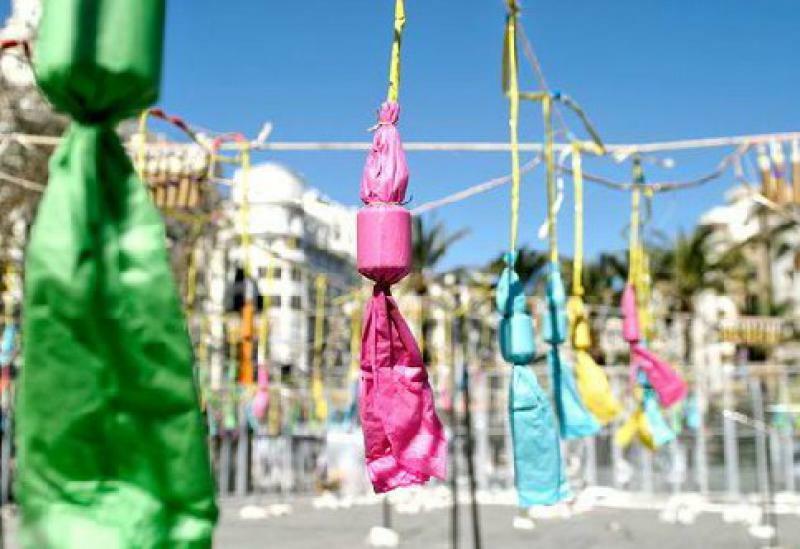 On March 15th the Planta' marks the beginning of the Fallas week, when the monuments leave the workshops and are assembled in the middle of the city streets. 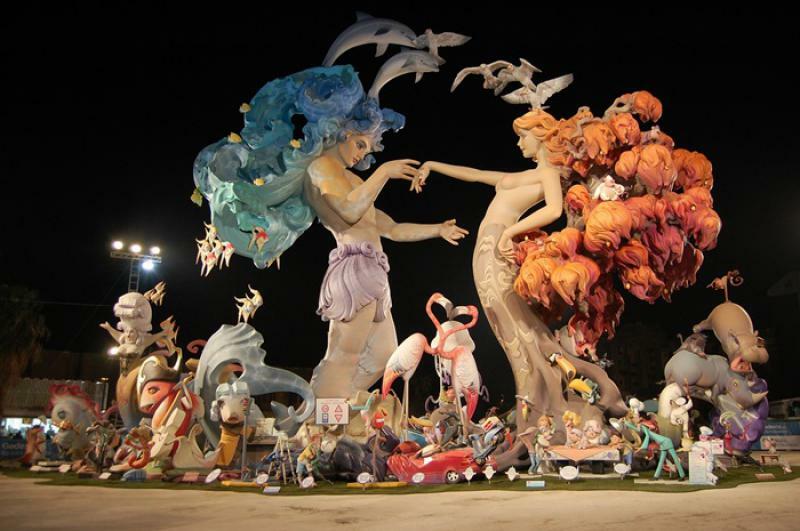 In Valencia there are over 400 fallas commissions and each one of them installs its own falla in one of the city streets. On March 17th and 18th you can enjoy the flower parade (Ofrenda de flores) where of all the falleros in their traditional attire carrying a bouquet of flowers to the Virgin. 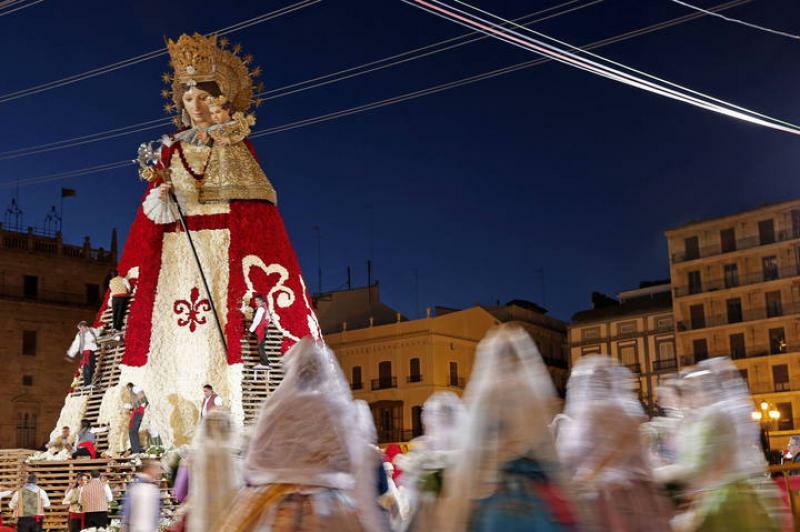 A huge figure of the Virgin made of wood is installed in the square of the Cathedral (Plaza de la Virgen), so that the bouquets are placed on the empty shelves therefore forming the mantle of the Virgin. 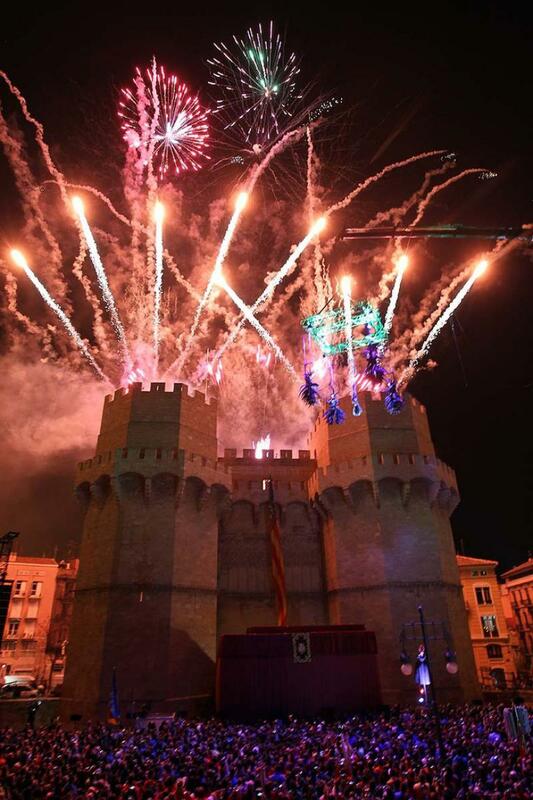 The famous Nit del Foc (night of fire) is the largest fireworks display of the Fallas in Valencia. 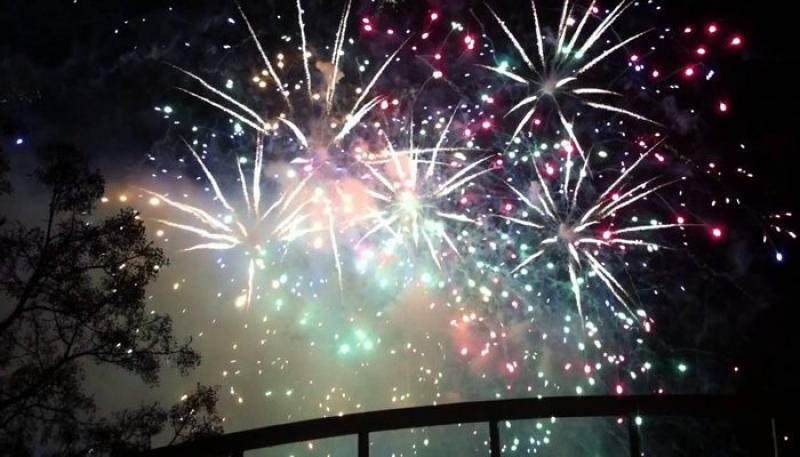 It is celebrated on March 18th at 1.30am near the Bridge of Flowers. The public can enjoy a large number of visual and sound effects, flashing sets, different phases of balloons and parachutes, double wheels rise and set of lightning illuminate the sky with millions of colors. The festival ends with the Crema' of all fallas. It begins at 22:00 and they burn all the monuments. Traditions concerning Fallas are many and attractive, come and discover them in Valencia during its best period of the year!